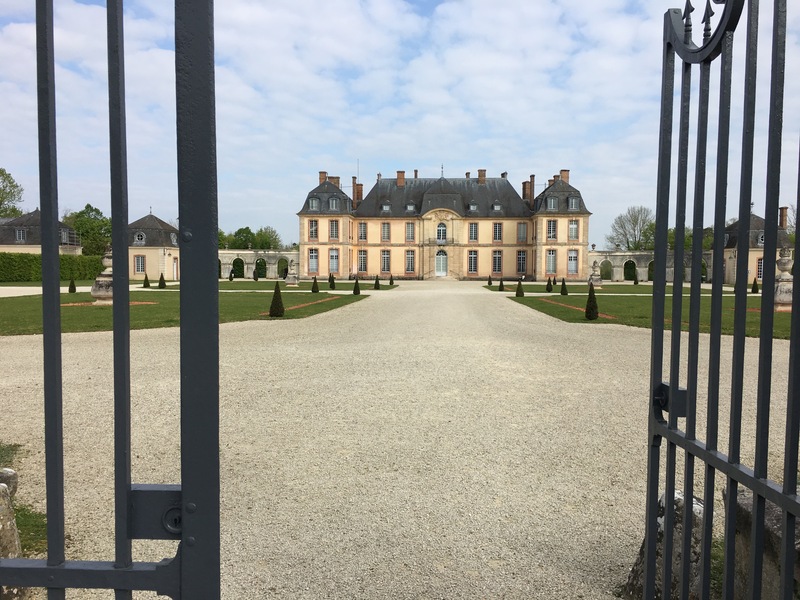 It was a short drive from the beautiful village of St Loup de Naud where I slept in Violet Trefusis‘s house (now owned by a close friend), and we arrived at Château de la Motte-Tilly promptly for the 10.30 am tour. 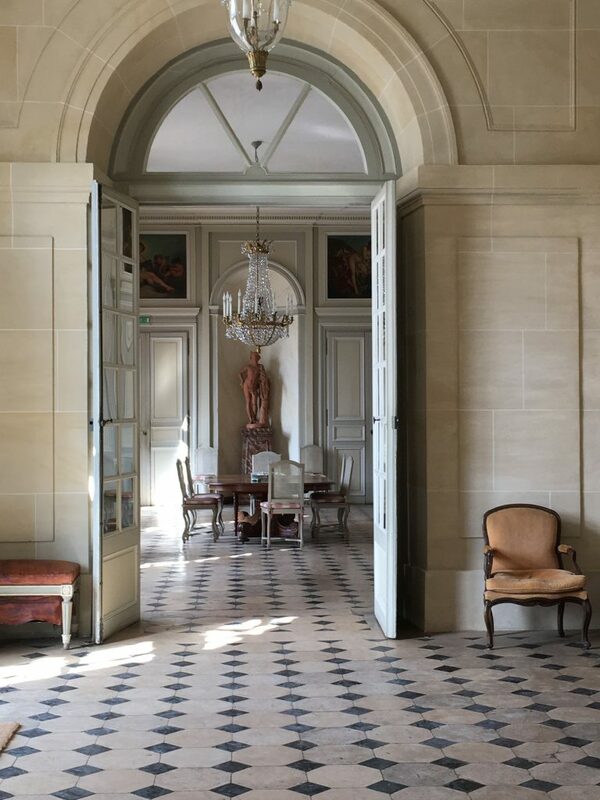 This house which used to be Louis XV th treasurer Abbé Terray’s, was built in 1754 by architect Francois Nicolas Lancret, the nephew of Nicolas Lancret. It passed on to the Rohan Chabot family and was entirely restored in the 20 th century by both Charles Gérard de Rohan Chabot and his daughter Aliette de Maillé. 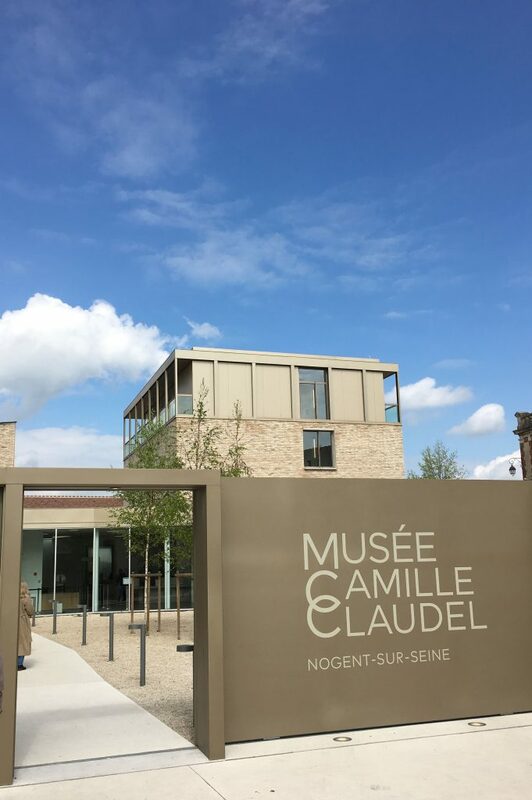 It is a few miles away from the new and beautiful Camille Claudel Museum in Nogent sur Seine. The Marquise de Maillé used to invite children from the village for tea on Sainte Cécile’s day as I was told by Renée, an old inhabitant of La Motte-Tilly. Her niece, Princesse Jeanne Marie de Broglie, remembers her as a very intellectual and serious art historian and archeologist. But she was also a very unlucky lady. Her husband and brother died on the same week at the very end of the first World War, in July 1918, and her only child, a daughter, died two years before she did. 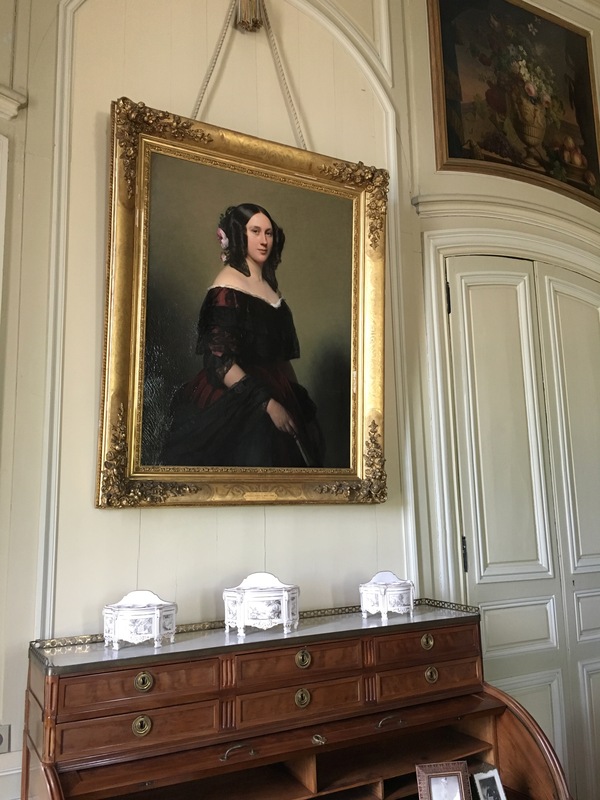 After dedicating her life to saving monuments and fighting for the recognition of Haut Moyen Age art, she gave the castle to the Caisse nationale des Monuments historiques which manages its 800 has of fields and 200 has of woods. Her private house in Paris and the furniture went to her nephew Josselin, Duc de Rohan. The house was a summer retreat a day and half ride from Paris ant its interiors are decorated with very nice 18 th century furniture, good paintings and books, and has kept a feeling of being lived in. The garden is a mix of classical French garden and English landscape falling down to a large pond with a collection of 73 varieties of limes. 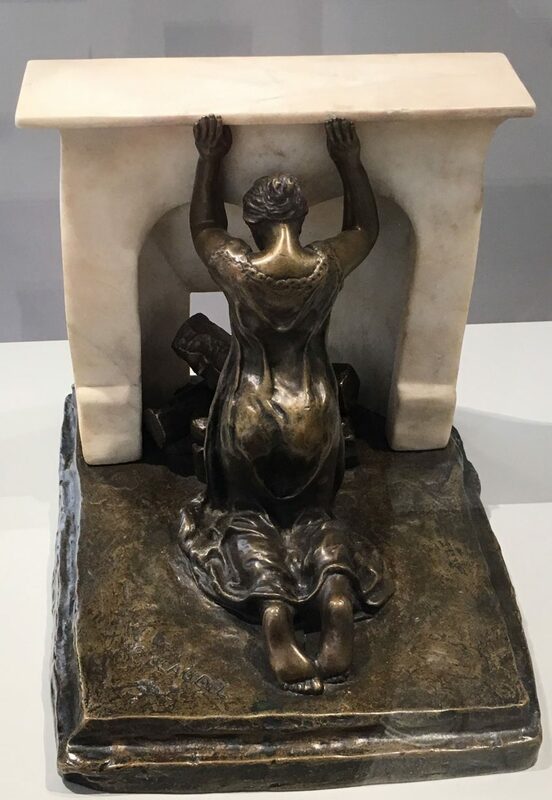 It is a charming memento of this grand lady who founded the Sauvegarde de l’art français in 1921, a foundation which restores pre 1801 non listed churches. The president today is her grand nephew, Olivier de Rohan. 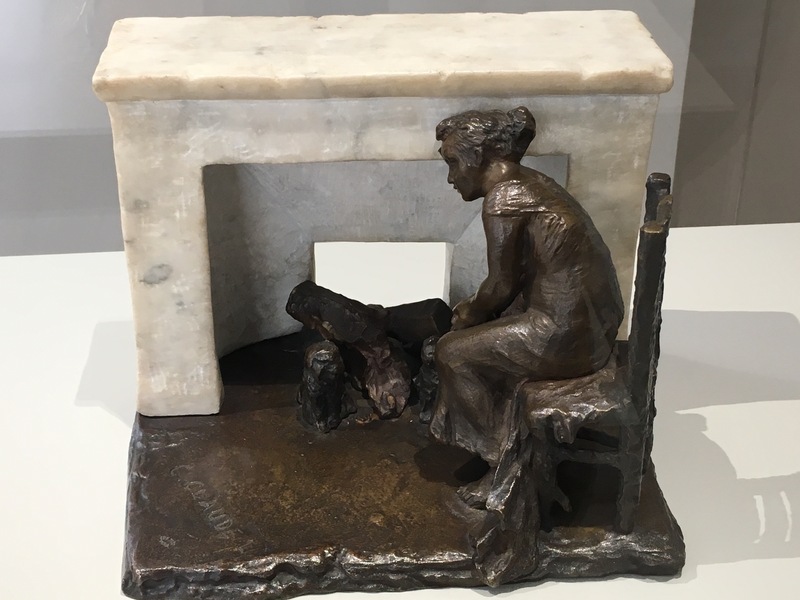 Five miles away, in Nogent sur Seine, is a new lovely museum dedicated to 19 th and 20 th century sculpture and named after Camille Claudel who lived there in her teens. It is a stunning endeavor, with great brick architecture by Adolfo Scaranello and a very subtle museography. As you already know, Camille Claudel was both an assistant and a lover of Rodin for 10 years when she was only 20 and he already 44. Her incredible talent was detected early on by sculptor Alfred Boucher who lived in Nogent sur Seine. In an interesting video, the curator mentions that she was sculpting in a style similar to Rodin’s, even before meeting him. The most impressive room of the museum is a little corner room where four versions of “The Waltz” are exhibited. The movement of the statues, the strength and the desperation of the bodies are riveting. The museum is organized in a very didactic way, with explanations on the process of sculpting and on the evolution of sculpture from Academic pompier style to 20 th century avant garde. The end of the 19 th century was the golden era for sculpture in France. Every famous writer or politician had statues made of themselves and towns and public buildings all ordered numerous works. 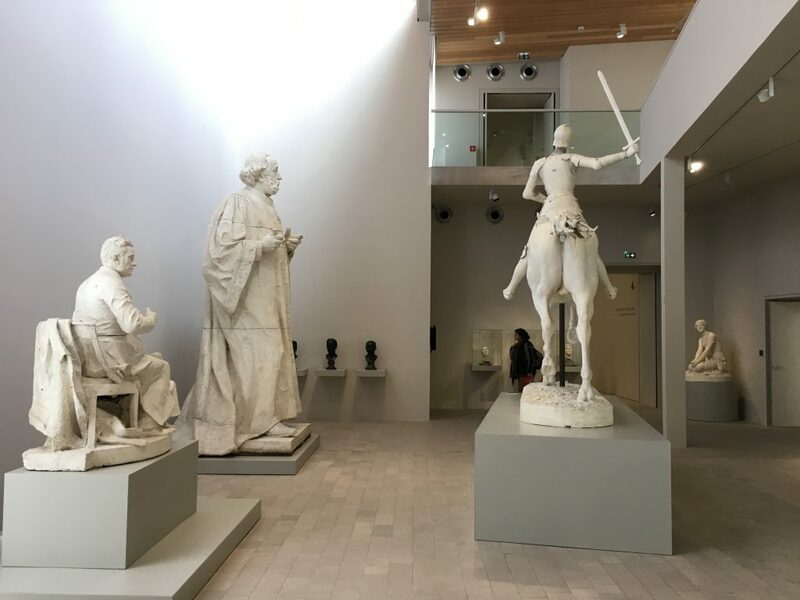 The museum which now exhibits 249 pieces, was in the planning for twenty five years, a project conceived by former mayor of Nogent sur Seine, Gérard Ancelin. The collection is based on works patiently assembled by Camille Claudel’s niece, Reine-Marie Paris de la Chapelle, and was bought by Nogent for the museum, originally founded by her teacher Alfred Boucher. 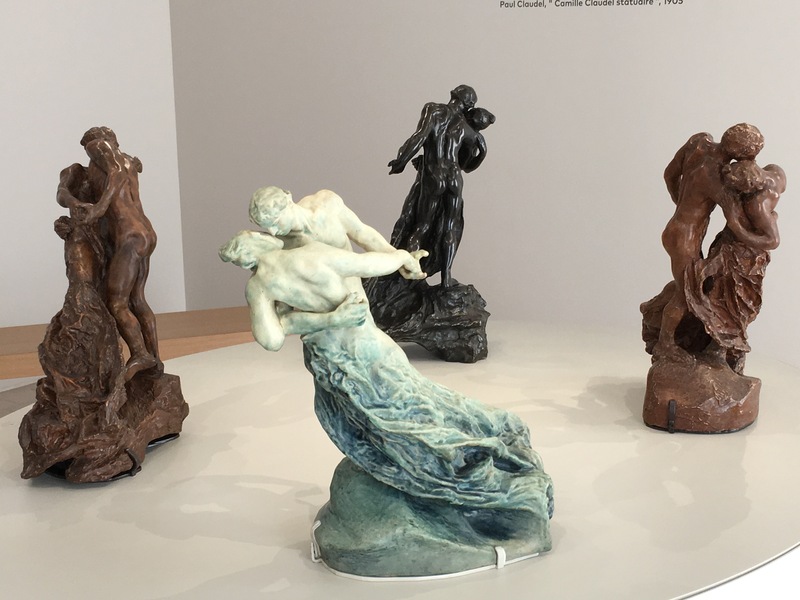 There are many works by Rodin and Claudel exhibited together and huge official statues by Alfred Boucher and Dubois, their predecessors. But also by Bourdelle and François Pompon. The whole experience is totally moving with nice calm and elegant museum guards dressed in gray. The numerous little films on Claudel are all interesting and provide for a welcome rest. The charming town of Nogent offers a few bistros for lunch and I highly recommend the day trip (one hour by train from Gare de l’Est). You will not be disappointed!